January 29 is the 29th day of the year in the Gregorian calendar.There are 336 days remaining until the end of the year(337 in leap years). 2002 – In his State of the Union address, President George W. Bush describes "regimes that sponsor terror" as an Axis of evil , in which he includes Iraq, Iran and North Korea. An Lushan was a general in the Tang dynasty and is primarily known for instigating the An Lushan Rebellion. The An Lushan Rebellion was a devastating rebellion against the Tang dynasty of China. The rebellion overtly began on 16 December 755, when general An Lushan declared himself emperor in Northern China, thus establishing a rival Yan Dynasty, and ended when Yan fell on 17 February 763. This event is also known as the An–Shi Rebellion or An–Shi Disturbances, as it continued after An Lushan's death under his son An Qingxu and his deputy and successor Shi Siming, or as the Tianbao Rebellion (天寶之乱), as it began in the 14th year of that era. Emperor Shizong of Liao, personal name Wuyu, sinicised name Yelü Ruan, was the third emperor of the Khitan-led Liao dynasty. He was the son of Yelü Bei, the eldest son of Abaoji, the founder of the Liao dynasty. He came to power in 947 after the death of his uncle, Emperor Taizong, who raised him in his father's absence. Year 661 (DCLXI) was a common year starting on Friday of the Julian calendar. The denomination 661 for this year has been used since the early medieval period, when the Anno Domini calendar era became the prevalent method in Europe for naming years. 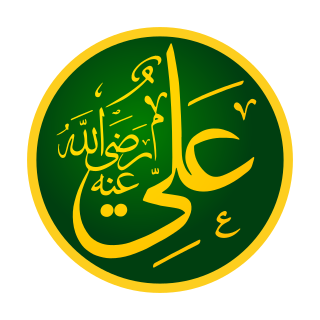 Ali ibn Abi Talib was the cousin and son-in-law of Muhammad, the last prophet of Islam. 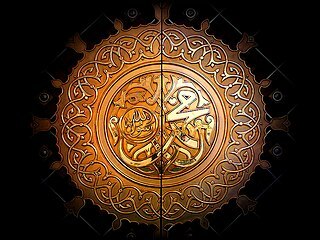 He ruled as the fourth caliph from 656 to 661, but is regarded as the rightful immediate successor to Muhammad as an Imam by Shia Muslims. Eochaid mac Colla, better known as Saint Dallán or Dallán Forgaill, was an early Christian Irish poet known as the writer of the "Amra Coluim Chille" and, traditionally, "Rop Tú Mo Baile"("Be Thou My Vision"). Gildas — also known as Gildas the Wise or Gildas Sapiens — was a 6th-century British monk best known for his scathing religious polemic De Excidio et Conquestu Britanniae, which recounts the history of the Britons before and during the coming of the Saxons. He is one of the best-documented figures of the Christian church in the British Isles during the sub-Roman period, and was renowned for his Biblical knowledge and literary style. In his later life, he emigrated to Brittany where he founded a monastery known as St. Gildas de Rhuys. The Servant of God, Juniper, O.F.M., best known as Brother Juniper, called "the renowned jester of the Lord," was one of the original followers of St. Francis of Assisi. Not much is known about Juniper before he joined the friars. In 1210, he was received into the Order of Friars Minor by St. Francis himself. "Would to God, my brothers, that I had a whole forest of such Junipers," Saint Francis would pun. Saint Aquilinus of Milan, also known as Aquilinus of Cologne, is venerated as a martyr by the Catholic Church. Saint Constantius is one of the patron saints of Perugia, Italy. ↑ Encyclopaedia Britannica, inc (1991). The New Encyclopaedia Britannica: Micropædia. Encyclopædia Britannica. p. 649. ISBN 978-0-85229-529-8. ↑ Hamilton Alexander Rosskeen Gibb (1993). The Encyclopaedia of Islam: MIF-NAZ. Brill. ↑ "200 Japanese die in Osaka train wreck". NewspaperArchive. The News - Palladium. January 29, 1940. Retrieved 5 December 2018. ↑ Daniel O'Callaghan (9 November 2012). The Preservation of Jewish Religious Books in Sixteenth-Century Germany: Johannes Reuchlin's Augenspiegel. BRILL. p. 23. ISBN 90-04-24185-X. ↑ Nelson-Atkins Museum of Art; Eliot Wooldridge Rowlands (1996). The collections of The Nelson-Atkins Museum of Art: Italian paintings, 1300-1800. Nelson-Atkins Museum of Art. ↑ Peter G. Bietenholz; Thomas Brian Deutscher (2003). Contemporaries of Erasmus: A Biographical Register of the Renaissance and Reformation. University of Toronto Press. p. 171. ISBN 978-0-8020-8577-1. ↑ Amy Gaston C.A. Bonet-Maury (1884). Early sources of English Unitarian Christianity, revised by the author and tr. by E.P. Hall. ↑ Frank N. Magill (13 September 2013). The 17th and 18th Centuries: Dictionary of World Biography. Routledge. p. 500. ISBN 978-1-135-92414-0. ↑ Rolf Hendrik Bremmer (Jr); Geart van der Meer; Oebele Vries (1990). Aspects of Old Frisian Philology. Rodopi. p. 46. ISBN 90-420-2275-2. ↑ The Biographical Dictionary of the Society for the Diffusion of Useful Knowledge. Longman, Brown. 1843. pp. 395–. ↑ The Encyclopædia Britannica: The New Volumes, Constituting, in Combination with the Twenty-nine Volumes of the Eleventh Edition, the Twelfth Edition of that Work, and Also Supplying a New, Distinctive, and Independent Library of Reference Dealing with Events and Developments of the Period 1910 to 1921 Inclusive. Encyclopædia Britannica Company, Limited. 1910. ↑ James John Garth Wilkinson (1849). Emanuel Swedenborg: A Biography. W. Newbery. pp. 4–. ↑ Julian, John (1892). A Dictionary of Hymnology: Setting Forth the Origin and History of Christian Hymns of All Ages and Nations (Public domain ed.). C. Scribner's Sons. pp. 481–. ↑ Emerson, Dorothy May; Edwards, June; Knox, Helene (2000). Standing Before Us: Unitarian Universalist Women and Social Reform, 1776-1936. Unitarian Universalist Association of Congregations. ISBN 9781558963801. ↑ Frederick Delius (1983). Delius, a Life in Letters: 1862-1908. Harvard University Press. p. xxxii. ISBN 978-0-674-19570-7. ↑ Ronald Alfred Wilson (1939). The Pre-war Biographies of Romain Rolland and Their Place in His Work and the Period. St. Andrews University. p. 1. ↑ Ricardo Landeira (1985). The modern Spanish novel, 1898-1936. Twayne Publishers. p. 1. ISBN 978-0-8057-6603-5. ↑ John Davison Rockefeller; Rockefeller Archive Center (1994). Dear Father/dear Son: Correspondence of John D. Rockefeller and John D. Rockefeller, Jr. Fordham Univ Press. p. 2. ISBN 978-0-8232-1559-1. ↑ Scott Eyman (1993). Ernst Lubitsch: Laughter in Paradise. Simon & Schuster. p. 22. ISBN 978-0-671-74936-1. ↑ Rollin, Glenda; Rollin, Jack, eds. (2012). Sky Sports Football Yearbook 2012–2013 (43rd ed.). London: Headline. p. 438. ISBN 978-0-7553-6356-8. ↑ "Happy Birthday To New Rochelle's Kevin Shattenkirk". Daily Voice. Retrieved 9 January 2019. Wikimedia Commons has media related to January 29 .